Jana Bruce is quickly becoming one of the Bayou City’s most sought-after luxury real estate professionals. A highly-regarded Realtor who represents discriminating buyers and sellers in neighborhoods throughout Houston, particularly River Oaks, the Memorial Villages, West University Place, and the Heights, Jana is always a trusted advisor to her clients. Jana thrives on spontaneity, and the ever-changing nature of Houston and its residential real estate scene are a perfect fit for this fourth-generation Texan and native Houstonian. She nurtures a deep appreciation for her traditional Southern roots and for the Bayou City’s history, culture, diversity, and architecture. Jana witnessed Houston’s expansive growth as a child in the 1970s while swinging on rope swings on Buffalo Bayou and riding tandem bicycles with her best friends all over the city. Later, as an adult, she experienced the reconstruction of Houston’s main transportation arteries and the explosive growth of the Energy Corridor, Katy, and The Woodlands. 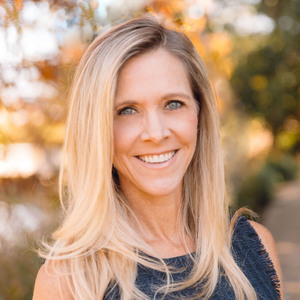 After completing her bachelor of science at the University of Texas in Austin, Jana worked as a licensed securities broker before becoming a small business owner. Her investment background and entrepreneurial spirit have proven to be excellent training for her successful career as a Realtor. She focuses on growing her knowledge of the real estate industry through additional education, and constantly trains to master cutting-edge technology that will help her better serve her clients. Jana’s reputation as a successful real estate professional is built on character and integrity and she makes time within her busy work schedule to volunteer for many local organizations, schools, and charities. She believes in an equal balance of work and fun and takes every opportunity to enjoy sporting events and live music, running at Memorial Park, or simply fishing at her family’s ranch in Bellville, Texas.